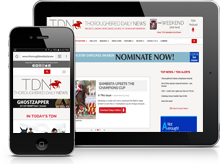 According to a mid-afternoon tweet from the Don Alberto Stable account, ‘TDN Rising Star‘ Unique Bella (Tapit–Unrivaled Belle, by Unbridled’s Song) fractured a sesamoid during a Saturday morning workout at Del Mar and has been retired from racing. Bred in Pennsylvania by Betty Moran’s Brushwood Stable, Unique Bella was purchased by Don Alberto Stable for $400,000 at the 2015 Keeneland September Sale and was accorded ‘Rising Star’ status for a 10 1/4-length maiden score during Del Mar’s Bing Crosby meet in late 2016. 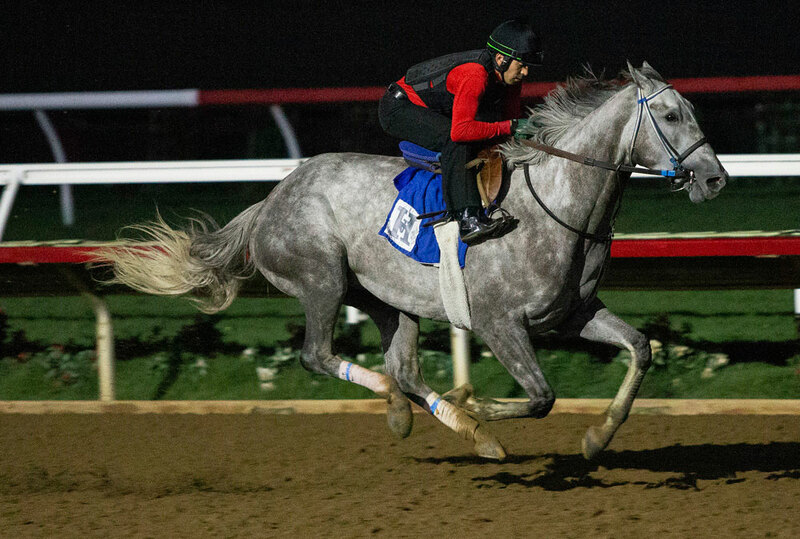 The stout gray filly won the GII Santa Ynez S., the GII Las Virgenes S. and the GIII Santa Ysabel S. by some 18 1/2 lengths combined, but was forced to miss the GI Santa Anita Oaks and GI Kentucky Oaks with a shin injury. Patiently handled by Jerry Hollendorfer, Unique Bella made a victorious return to action in the GIII L.A. Woman S. last October, but was only seventh as the favorite in the GI Breeders’ Cup Filly & Mare Sprint after setting a fast pace. Voted an Eclipse Award after defeating fellow ‘Rising Star’ Paradise Woods (Union Rags) in the GI La Brea S., she earned a career-best 109 Beyer Speed Figure for her nine-length romp in the GII Santa Maria S. Feb. 10, but missed the break in the Apr. 13 GI Apple Blossom H. and could do no better than second. She rounded out her career with Grade I wins in the June 2 Beholder Mile at Santa Anita and in Del Mar’s Clement L. Hirsch S. July 29. She retires with a record of 12-9-2-0 and earnings of $1,272,400. The first foal to make the races out of 2010 GI Breeders’ Cup Ladies’ Classic winner Unrivaled Belle, Unique Bella is a maternal granddaughter of MGSW Queenie Belle (Bertrando). Unrivaled Belle was purchased by Mandy Pope’s Whisper Hill Farm for $3.8 million at Keeneland November in 2016 and produced a full-sister to Unique Bella in 2017. She foaled a colt by Tapit this year.